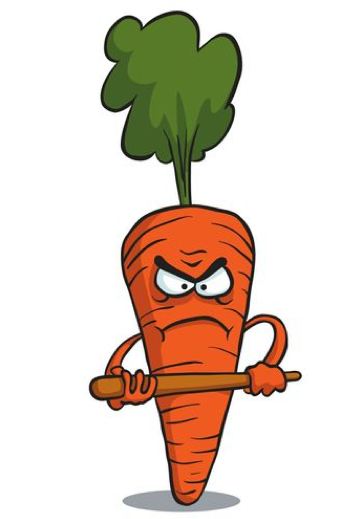 “Carrot and Stick Approach” is a term used to refer to a policy of both offering a reward and threatening a punishment to persuade a person to behave in a certain way. In sectional title schemes and homeowners’ associations it is usual for owners who pay their levies after due date to be liable for interest at a rate set by the trustees and other penalties, such as the suspension of voting rights for ordinary resolutions. What is not usual, in South Africa, is for the scheme to offer owners a positive incentive to pay their levies before due date. If the interest and loss of voting rights is the “Stick”, then the offer of a discount for early payment would be the “Carrot”. The incentive of a discount for early payment is perfectly permissible and is used extensively in other jurisdictions, with the extent of the incentive often being set at a rate of 5 to 10 percent, although it can be up to 20 percent, which means that owners can achieve substantial savings by ensuring that they pay their levies early. One of the first questions asked in this regard is how, from a financial perspective, the body corporate or homeowners’ association can afford to allow for discounts. The answer is that it must be budgeted for as a contingent expense, with the extent of the likely discounts being taken into account in setting the total amount the scheme needs to collect. If this sounds awfully complicated relax, it is not and in fact modern software used to manage sectional title bodies corporate and homeowners’ associations performs these calculations automatically. If late levy payment is a problem in your scheme and you think that a positive incentive to prompt payment could reduce your levy arrears to acceptable proportions, give the issue of budgeting for early levy payment discounts serious consideration. It is certainly a very much more sensible commercial approach than having the body corporate or home owners’ association borrow money from a levy financier to make up the levy shortfall and cover its expenses. Would you consider early payment discounts? Share with us by commenting below. Interesting suggestions – I am thankful for the facts – Does anyone know if I would be able to locate a template AU Form 1008 document to edit ? I can see some merit in the idea for a ST scheme which has a number of defaulters/slow payers. In such a scheme, the income from interest on overdue levies could pay for the discounts allowed to the good guys. However it would be meaningless in a scheme where owners pay regularly and in good time. In such a case, the basic amount of the levies would have to be increased, in order to allow for almost everyone to get a discount! True, in a scheme where everybody pays on time, the discount would be applied to all and have no overall effect, EXCEPT to act as a substantial incentive to all owners to ensure payments are made on time. Still sounds like a good idea, doesn’t it? The only long-term issue would be that the BC is the discount percentage down on the desired revenue and would have to increase the levies so as ‘afford’ the discount – A bit ‘Irish’ I suggest. Is it true that the business offering discounts and raising interest are seen as credit provider by the National Credit Regulator and as such have to comply with all the rules and regulations that apply there. If you are not already in that field, does the end justify the means? The courts have confirmed that ST bodies corporate are not providing credit to owners by raising and collecting levies, so the associated consumer protection legislation does not apply. I would definitely consider something like a discount for the early payment of a levy. I have been doing so for years on the rentals I receive from my investment properties but have never thought of applying it to a body corporate! This entry was posted on February 12, 2014 by Paddocks in Financial, Legal, management and tagged arrears collection sectional title, body corporate levies, graham paddock, HOA levies, levy discounts, mystrata, Paddocks, paddocks blog, sectional title, sectional title levies.